From the desert mountains of Phoenix and the caves of Tucson to the glistening blue natural pools of Sedona and snowy regions of Flagstaff, Arizona is home to some of the nation’s best natural destinations and is ideal for those who love to hike, swim, explore and be active. Chad Schlundt, outdoor recreation coordinator at Grand Canyon University, wants to make sure the University’s nearly 15,000 traditional students, especially those from out of state, get to see firsthand the natural beauty of the Grand Canyon State. Schlundt joined GCU this summer and has organized several information classes and training sessions in addition to hiking, backpacking, skiing, swimming and other trips across the state as part of the University’s new outdoor recreation program. Future trips will include hiking Camelback Mountain in Phoenix and snowboarding in Flagstaff this winter and possibly surfing in San Diego over spring break. The trips are designed to foster relationships, create memories, explore Arizona and grow their faith. Most are free and first-come, first-served, and sign-ups will be capped. A list of classes and trips are available at imleagues.com/GCU under the “Outdoor Recreation” tab. Schlundt said the program is a way for students who may prefer exploring nature in addition to or over attending campus events or participating in intramurals to experience fellowship. “Outdoor recreation creates a whole different level of engagement for students, taking them out of their comfort zones and giving them a chance to grow closer to God, be in fellowship with their peers and have the opportunity to pray and reflect away from the busyness of society,” said Schlundt, who grew up fishing and hiking across Southern California. 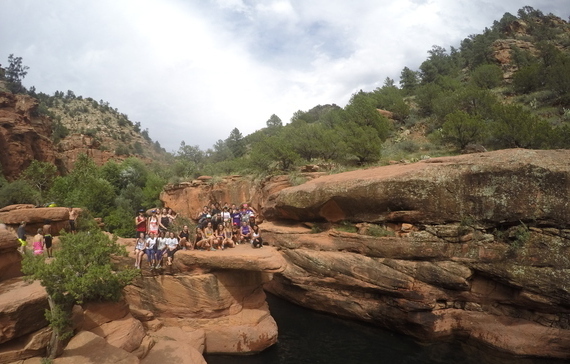 On Monday, 40 students traveled to Sedona for the program’s first event: an 8-mile round trip hike to Wet Beaver Creek (known locally as “The Crack”) to swim in the natural pools and cliff-jump. A second event is scheduled for Friday morning when students will hike to the top of Piestewa Peak in Phoenix to pray for the families of 9/11 victims. 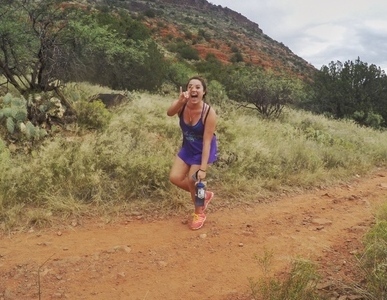 Brittany Harms, a sophomore from Orange County, Calif., who loves to hike and be outdoors, spent Labor Day with the group in Sedona. As an out-of-state student, Harms said she doesn’t know the best places to hike or swim, but the program allows her to explore the state she now calls home while making new friends. “I haven’t seen a lot of Arizona, I haven’t even been to the Grand Canyon, and GCU allows me to experience a place I never have before, which is great,” said Harms, a communication major. Cliff-jumping and sharing her passion for hiking were her favorite parts of the trip. Students said their favorite part of the trip was making friends and exploring Arizona with their peers. Matt Lamb, director of intramurals, said the University also is developing new intramural sports and events to cater to the growing number of students. Sports like spikeball, bowling and softball will be added to popular intramural sports, soccer, sand volleyball, flag football and basketball. The first two intramural sports of the year, spikeball and indoor volleyball, started this week. Contact Cooper Nelson at 602.639.7511 or cooper.nelson@gcu.edu.